Find a new Jeep Cherokee at your local Dexter, MO Jeep dealership. Overview You can rely on Harry Blackwell Dodge of Dexter to bring quality vehicles to the greater Dexter, Missouri area. With a sleek, modern look, the Jeep Cherokee blends in nicely in a city environment, yet is built for adventure. Tackle rough terrain, long stretches of highway, or both in a vehicle that boasts impressive engine variety, all with cruise-friendly nine-speed automatic transmission. The Jeep Cherokee comes in a variety of trims, including the popular off-road optimized Trailhawk or the stylish Altitude. No matter which configuration of specs and features you choose, you can rest assured that the Jeep Cherokee is both off-road capable and luxurious. Why Us? 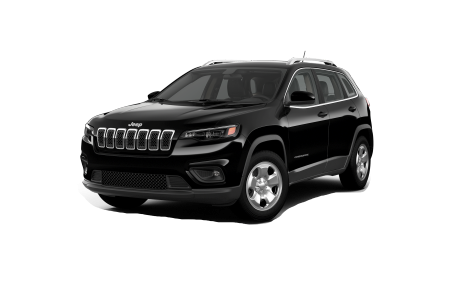 The team at Harry Blackwell Dodge of Dexter has extensive knowledge of all Chrysler, Jeep, Dodge, and Ram models, including the Jeep Cherokee. Speak with one of our automotive sales associates to learn about all the details of the Jeep Cherokee, as well as the latest new and used car deals and vehicle incentives available on all of our models. Our auto financing team will also be happy to guide you through the auto financing process and help you choose the financing or leasing plan that's right for your lifestyle. Stop by our Dexter, MO dealership to test drive the Jeep Cherokee! When your Jeep Cherokee needs routine vehicle maintenance like an oil change or tire rotation, bring it in to the automotive service center at Harry Blackwell Dodge of Dexter. Our expert automotive technicians can also handle complex car repairs due to engine failure or a collision, as well as routine maintenance such as oil changes and tire rotations. We will make sure you drive away with a vehicle in peak condition by drawing on years of experience and using state-of-the-art technology. Schedule an appointment at our Dexter, MO auto service center online or by phone now!